As we approach November 11th, Veteran’s Day, I wanted to take the time to acknowledge our servicemen and women, whose sacrifices can never be truly appreciated nor repaid. Whose families can never fill the hole of a missing brother, or sister. Whose unit can never forget the loss of a brother or sister in arms…From the bottom of my heart I thank you all for providing a safe place for democracy, liberty, and freedom to reign. For neutralizing the forces of evil who seek to destroy those ideals and the millions of Americans who uphold them. But let’s take a minute to think about another group of armed forces who protect us on the homefront. You may be thinking the Police Officers…And while they are also critical in keeping the public safe and maintaining the law, I am not referring to them. This is a group of individuals, who bear no uniform. They wear no label. They blend in with the common folk until, a chaotic situation, or natural disaster presents itself. They are the people, who stop a mass shooting before Police arrive, they are the ones who respond to others first aid emergencies long before the paramedics come, they are the people who place the lives of their own families and others above their own. The men and women to whom I am speaking can be called Sheepdogs. While Sheepdogs can be off duty Policemen, or Servicemen, they are equally as likely just to be informed and trained civilians. Sheepdogs are the people who can be found doing productive things in the situations listed above, as well as acting before a horrific event takes place. They try not to draw any more attention to themselves than necessary because they must keep a low profile to avoid detection from the wolves of our world. Unfortunately, most of society are not sheepdogs, they are sheep. And while sheep have a purpose, in times of emergency or personal distress they begin to lose their ability to be helpful, contrary to the sheepdog who on instinct acts and protects others. There are a plethora of examples in which wolves, or evil individuals, successfully wounded or killed many many sheep. Such examples include: Aurora colorado, Ft. Hood, Sandy Hook Elementary, Virginia Tech, etc. All of these examples pertain to mass shootings rather than natural disasters, but it is important to note that there were no sheepdogs who acted here. While the list of mass killing being thwarted by sheepdogs is much shorter, a recent example of sheepdogs in action would be, the American soldiers who stopped the killing on the French train. Their actions not only saved their own lives, but also the lives of all the people on the train. Frequently, the voluntary task of the sheepdog is challenged because sheep attempt to disarm them, which ultimately gives the criminals of society an even greater advantage. If only they would realize that the sheepdogs exist to protect them, and that biting the hand that feeds you is pointless. 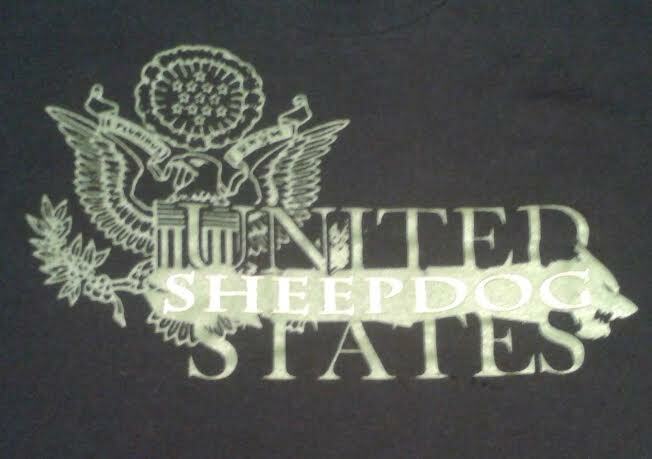 While most sheepdogs remain anonymous until a catastrophe occurs, you may know some in your life. Take the time, and thank them. Thank them because it takes a certain person to be able to act in such a high stress situation. An individual whose split second decisions make the difference between life and death for themselves and those sheep around them. Why you should be asking dumb questions. With More Money, Is Problem Quality Higher?